GOAL: To raise $4,000, which will provide enough Stingray electric violins, amplifiers, and effects pedals for every participating student in the Rockn’ Stringz youth ensemble. 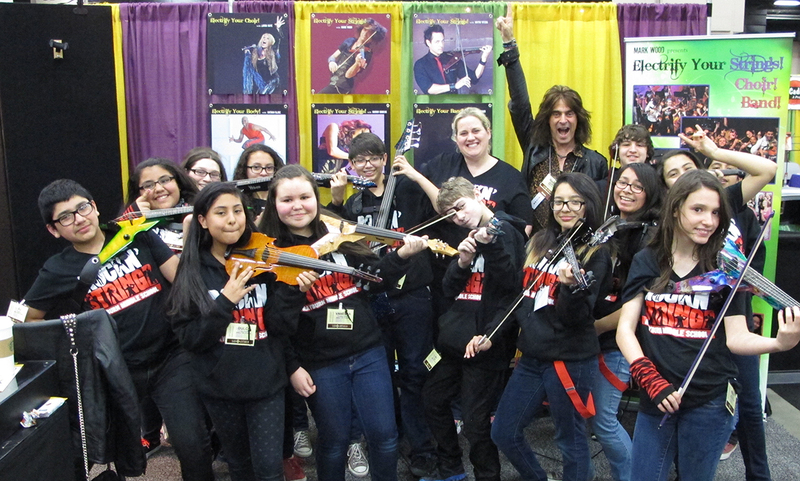 Mark Wood poses with Rockn’ Stringz at the 2015 TMEA convention. One of these very special people is Orchestra Director Heather Gonzalez from Rayburn Middle School in San Antonio, Texas. 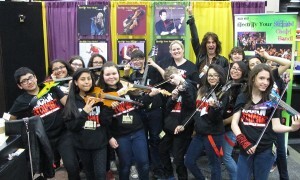 Mark Wood first started working with Heather in 2012 at one of his Electrify Your Strings programs and since that time, she was inspired to create Rockn’ Stringz, an after school ensemble made up of Rayburn Orchestra members. While Heather has been able to acquire several Stingray electric violins through her school district, it is a constant struggle to get funding to fully support her vision of a unified experience for her students. 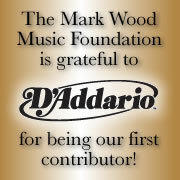 The Mark Wood Electrify Your Music Foundation is dedicated to providing 8 additional Stingray electric violins plus amps and effects pedals to Rockn’ Stringz so they can be the world’s first All Stingray Electric Youth Rock Orchestra but we can’t do it without YOU. follow their dreams and expand their musical horizons. 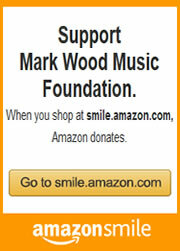 The Mark Wood Electrify Your Music Foundation is a 501(c)(3) charitable organization and donations are tax-deductible to the full extent allowable by law. Our mission is to change children’s lives by inspiring creative, innovative, and confident thinking; connecting imagination and intellect through the power of music.